Albert Basse Associates would like to wish our valued clients and friends a very happy and safe Labor Day! We'd also like to express our gratitude for your business and partnership and look forward to serving you throughout the year. Please note that ABA will be closed Monday September 4th so that our employees can enjoy the long holiday weekend with friends and family. We hope that you will do the same. 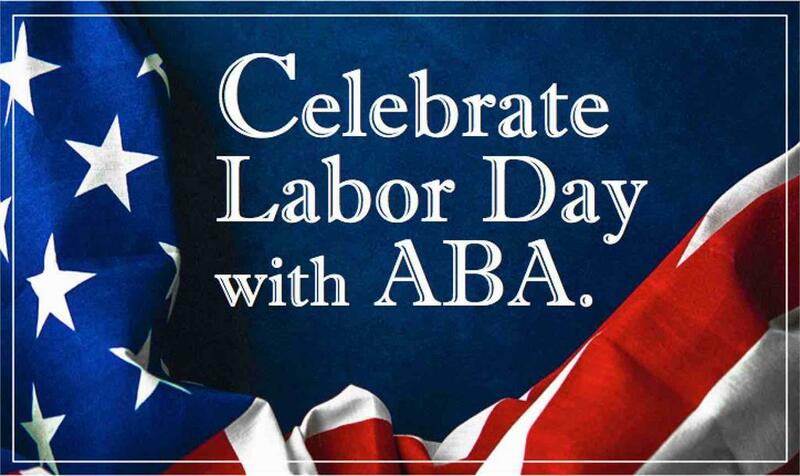 Enjoy the long weekend and happy Labor Day from ABA! © 2017 Albert Basse Associates, Inc. All rights reserved. © 2016 Albert Basse Associates, Inc., all rights reserved.